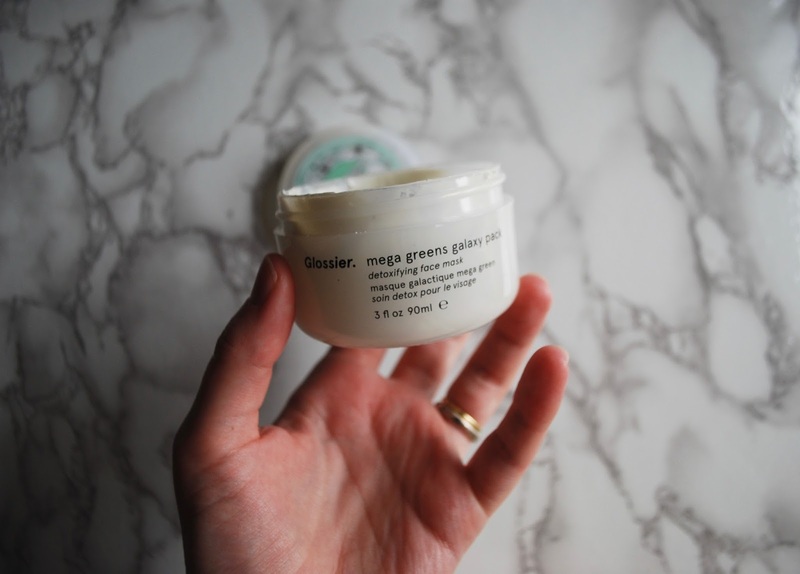 You all can probably guess that I'm a fan of a lot of Glossier products, but there's one that just doesn't work for me and that's the Glossier Mega Greens Galaxy Pack. 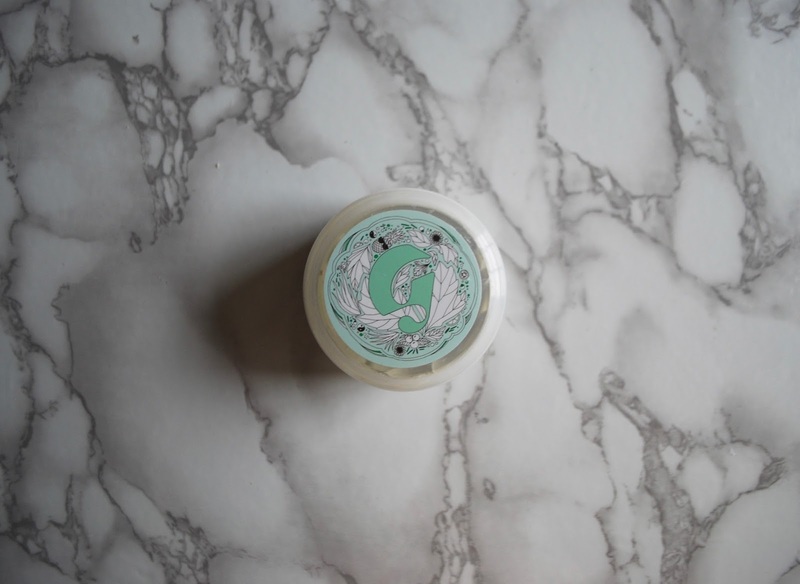 This mask is clay-based, and it promises to calm skin and draw out impurities. It also has kind of chunky granules in it, which are intended to be used for manual exfoliation when washing it off. The first time I used it, I slapped it on after a long-haul flight from Scotland back to my home in the States. I followed it with the Glossier Moisturizing Moon Mask (which is pretty great--review coming soon), and my skin looked probably the best it's ever looked after a flight. It was less red, and I didn't get any of my usual post-flight spots (who feels me on that one??). Needless to say, I was so excited! I genuinely felt like I'd found a mask duo that I loved. Unfortunately my dreams were dashed. The next time I used the mask, my face went so bright red and stingy wherever the mask had touched my skin. I've used up about 3/4 of the pot, determined to make it work, and every time I've used it since, it has had this weird effect on my skin. It doesn't get as red and irritated as the second time I used it, but the morning after, my skin has at least 2-3 nasty, painful spots that weren't there the day before. It's like the mask draws out impurities--but only halfway. It feels like it lifts up whatever was lurking in my skin and makes it into a really sore spot. If you're looking for a mask that really vacuums out your pores, try the Glamglow Supermud Clearing Treatment. This stuff is a miracle worker. You can literally see a difference in your pores right after you wash it off. Brilliant for clearing out blackheads. It can also be used as a spot treatment. There's a smaller size available in case you want to try it out without committing to the full size (I've linked the small size in the "Shop This Post" section below). 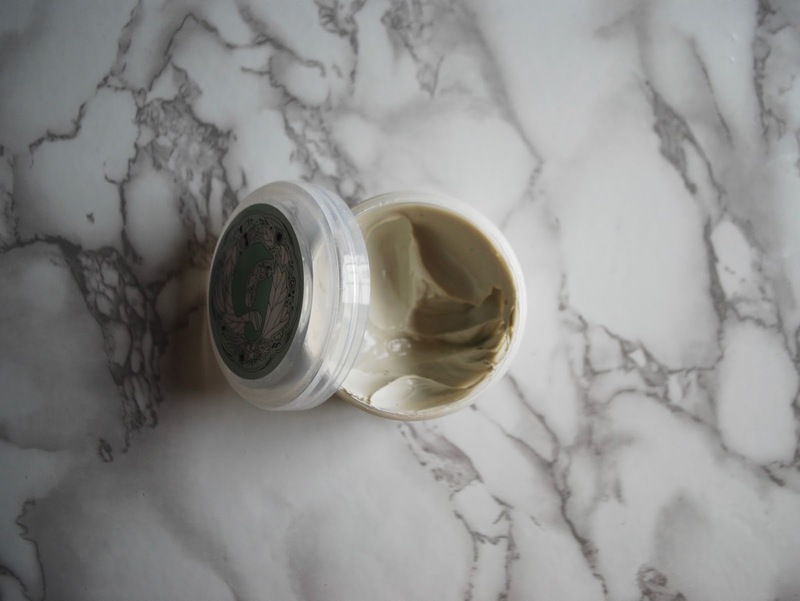 And y'all know I swear by the Charlotte Tilbury Goddess Skin Clay Mask (see my full review here). It's gentle, effective at clearing spots and blackheads, and somehow still manages to be a bit moisturising. What's your favourite mask? Have you guys tried any of these?